While Alaska may be widely known for the Iditarod Trail Sled Dog Race and the northern lights, there is another winter spectacle that brings visitors to the state every year. 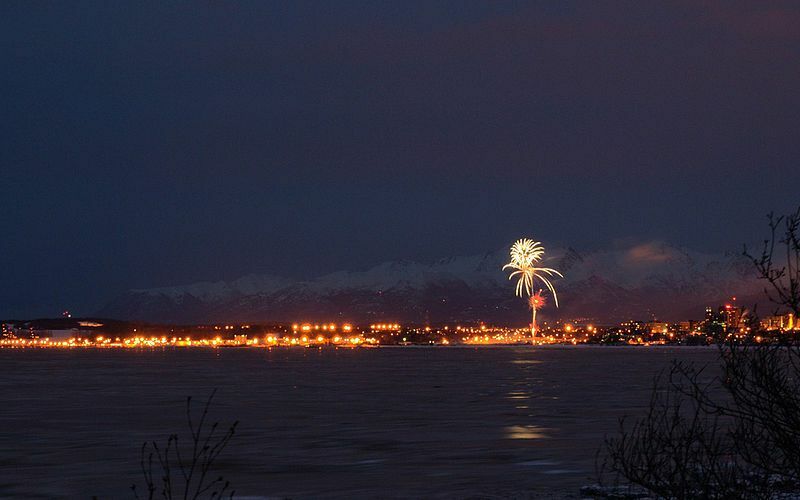 Each year at the end of February and beginning of March, Anchorage hosts the state’s premier winter festival—Fur Rendezvous. Going strong for 80 years, this 10-day festival is a winter tradition that celebrates Alaska history and life in the Last Frontier. And its timing, days before the early March ceremonial Iditarod start in Anchorage, is ideal for visitors who want to check both items off their must-see list. Fur Rendezvous—known to locals as Fur Rondy—boasts a variety of winter activities and events that are both fun, wacky and absolutely Alaskan. 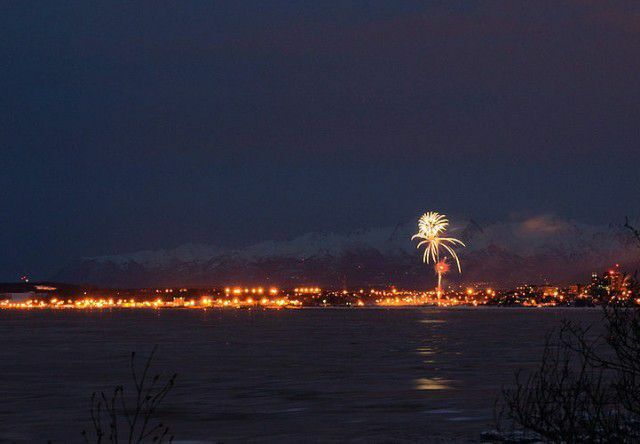 Fur Rondy has been a tradition since 1935 when Anchorage resident Vern Johnson established it as a three-day festival, coinciding with the time when miners and trappers returned to Anchorage with their yield. While it initially featured skiing, hockey, basketball and boxing, today’s festival events include a much larger variety—from outhouse races to fur auctions to the annual Running of the Reindeer. Downtown’s Ship Creek is the spot to be to check out this year’s snow sculptures and vote for your favorite. 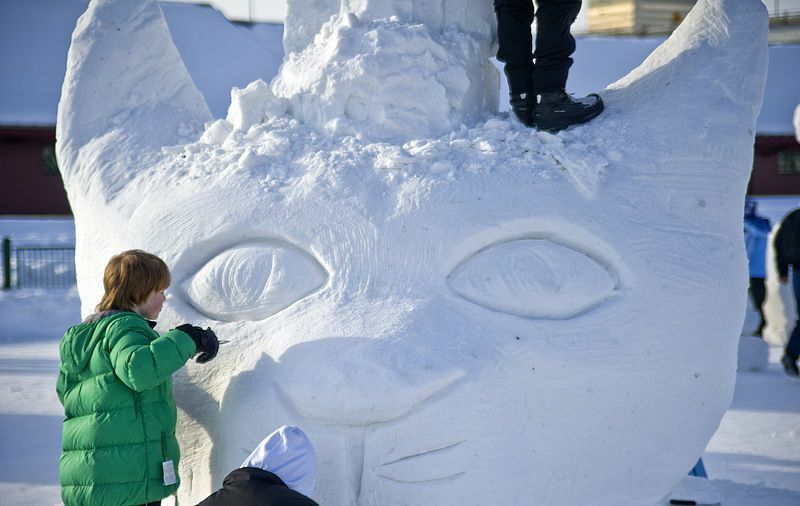 Artists create masterpieces from an 8-by-8-foot block of snow. Take a stroll amongst the towering sculptures and see if you can identify each artist’s chosen theme. Running of the Reindeer—March 5, 2016, at 4 p.m. This wild and wacky event, while much more family-friendly than the Running of the Bulls in Spain, is a crowd pleaser and a festival favorite. Racers can dash down Fourth Avenue with one of four different herds of reindeer; many runners choose to get decked out in costumes, delivering that extra touch to a race that is already quite the spectacle. Known as the cornerstone event of Fur Rondy, the World Championship Sled Dog Races combine winter fun with competition and the official state sport. The race has attracted mushers from Alaska and all over the world since 1946. Sprint mushing teams race a total of 75 miles over the duration of three days, beginning in downtown Anchorage and making their way through the city’s major roads and forests. A complete schedule of this year’s Fur Rondy events can be found here.